Explore both Leonardo Da Vinci's limitations, and his extraordinary gifts. 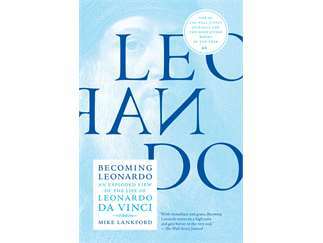 Bend author Michael Lankford explores Leonardo Da Vinci in this presentation based on Lankford's new book "Becoming Leonardo--an Exploded View of the Life of Leonardo Da Vinci." How it is we know Leonardo? Discover the real evidence and the actual man who emerges once we take a new look at one of history's most enigmatic and brilliant men. "Becoming Leonardo" reveals what it was like to live in the 15th century, and da Vinci's life as a social outsider. Lankford, who joined COCC in 2006 and has taught creative writing, creative nonfiction and academic composition as a part-time instructor for the college, has been fascinated with da Vinci since high school. His habit of exhaustively reading material by and about one particular individualwhich started at age 20 when he lived in a remote Oklahoma farmhouse and was consumed with Tolstoydoesn't normally lead to writing a book of his own, he admitted. A biography he read on da Vinci some five years ago changed that. "Becoming Leonardo" is a Wall Street Journal 2017 Book of the Year A Spectator (UK) 2017 Book of the Year. Books for sale, Q&A to follow.